If you are playing to win in tennis, you must be quick on your feet, with nimble moves, an agile mind and the right adidas tennis clothing to help you perform. Our tennis clothes are designed to give you the advantage on the court. Technically advanced fabrics wick away sweat and have cooling ventilation, to keep you in the sweet spot of comfort when the match heats up. 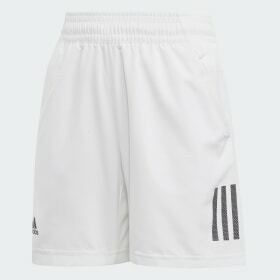 The style and cut of adidas tennis wear garments are designed to allow full range of movement, so you can nail those volleys along the base line to win game, set and match. Whether you’re preparing for a practice or the play of your life, getting kitted out in the right tennis outfit is the first step towards unmatched success on the court. Once you’ve acquired the right adidas tennis shoes, your attention should move up to getting the right tennis shirt, polo shirt or tank top. 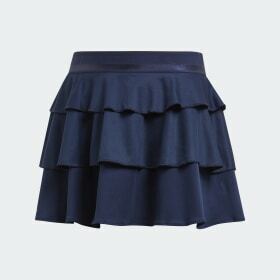 Paired with the right skorts or shorts, playing tennis will be a breeze, even in the hot sunshine. The same applies for adidas tennis dresses, which are perfect if you’re looking for feminine on court style. When the seasons change and you feel the first chill, you’ll want to add an extra layer during warm up or cool down. 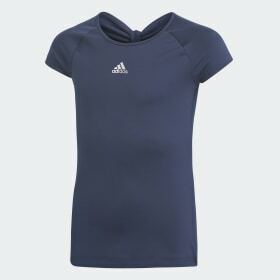 Just look for hoodies and track tops or trousers and training pants, whatever you need, adidas tennis clothing should have it. Now go, get ready for a match made in heaven.